MD-UPDATE: Some of our readers are new, so tell us about yourself. I was born in Louisville, grew up in Lexington, and graduated from Henry Clay High School. I went to Dartmouth with a passion for biology and all things living, pretty certain that I wanted to become a veterinarian. I ended up in the honors English program, focusing on Elizabethan drama and poetry. I wrote my thesis on Shakespeare’s final plays – the romances. I briefly considered becoming an English professor, but I couldn’t give up my dream. I saw an ENT for my allergies while in college, and he convinced me that I should take care of hypoallergenic creatures. I tell people that pediatric surgery is the closest thing you can get to veterinary medicine via medical school. ■ Summarize your medical training and early career. After Dartmouth I went to the University of Virginia for medical school and the University of Utah for general surgery and urology. I became very interested in reconstructive urology, which led to a pediatric urology fellowship at Duke and a second residency in plastic surgery at the University of Louisville. I initially practiced in Denver. It soon became clear that I would eventually become a fulltime plastic surgeon if I stayed there, so I decided to come back to Kentucky to focus on pediatric urology. Obviously, there were other factors involved in that decision. It was a good move for me and my family. ■ You are board-certified in urology, pediatric urology, and plastic surgery. Is pediatric urology all you do? No, but it is my primary focus. I consider myself a reconstructive genital surgeon. These days, most of that work is in pediatric urology, but the field, like many surgical disciplines, was pioneered by plastic surgeons. I still do some general plastic surgery to keep up my skills. 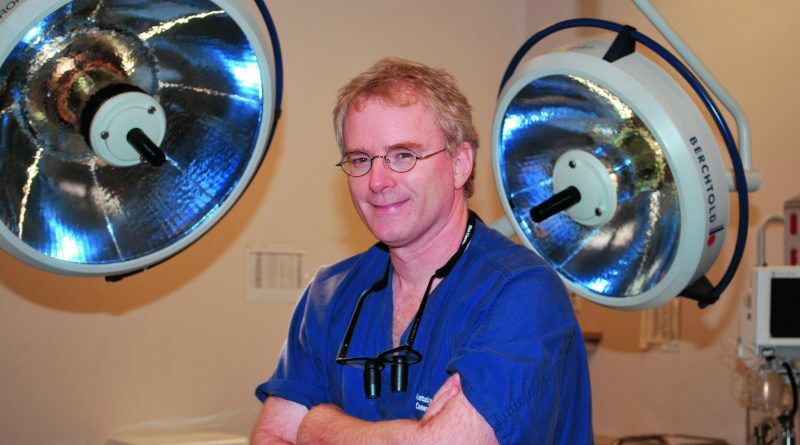 I also get referrals from adult urologists who have patients with congenital and reconstructive genital issues, as well as from gynecologists who have patients interested in labiaplasty. ■ You have been in Lexington for over 16 years, yet you opened an office in Louisville in 2014. Why? I had been outreaching to Bardstown for several years, so I already had many patients and loyal referring friends and colleagues from Louisville and western Kentucky. With the consolidation in medicine triggered by Obamacare, opening a permanent office in Louisville and taking care of my referral base, and potentially broadening it, seemed prudent. By being in Louisville, I could also begin offering my surgical patients access to the best children’s hospital in the state. ■ How is your Louisville practice going? It has been very well received. I work in Louisville every Tuesday, and I have been busy from day one, almost exclusively doing surgery. ■ Do you still outreach? I go to Mount Vernon one day per month and do clinics. We started doing that when the price of gas shot through the roof. It didn’t make sense to ask people, some of whom are of modest means, to drive to Lexington when I could go to them. ■ You are basically covering the entire state of Kentucky. That sounds exhausting. Yes, we have patients from Pikeville to Paducah. We also see patients from every state that borders Kentucky, and some beyond that. With the internet, people find what they are looking for. Surgery is a team sport. I have a great office staff, a wonderful and very experienced pediatric urology nurse practitioner, Ann Muth, who is based at our Louisville office, and great anesthesia and OR support in both cities. The Norton administration and my pediatric urology colleagues in Louisville have been very supportive as well. I still have the energy to play my position. Louisville is only an hour away, and, besides, it is in many ways my home. ■ You finished your training almost 20 years ago. How has pediatric urology changed? I think we have seen a general refinement of surgical techniques that are giving us better functional and cosmetic outcomes. Pediatric urologists have been very prudent in adopting laparoscopic surgery where it makes sense, particularly in the treatment of undescended testicles. The genitourinary system is retroperitoneal. When you can quickly reconstruct or remove a kidney through a one-inch incision and stay out of the abdominal cavity, it hardly makes sense to use a robot. That is minimally-invasive surgery. One area where technology has had a big impact is prenatal ultrasound. The diagnostic power of modern ultrasound machines is amazing. Most significant urinary tract malformations can be spotted prenatally and treated proactively in infancy. We fix a lot of babies before they ever get sick. ■ You are now entering the final decade of your career. What do you want to focus on from here forward? Thanks, Gil; everybody else tells me I don’t look 55. Going forward? I suppose I would like to focus on genital surgery. I have already started sending my major reconstructive urinary tract cases to regional colleagues, and having a pediatric urology nurse practitioner has lightened my clinic work and kept me in the OR. My plastic surgery friends in Louisville have encouraged me to start advertising my skill set to adults. Probably the biggest untapped market in that realm is labiaplasty. I have had good results with that operation and some extremely happy patients, some of whom are motivated by cosmetic concerns and some of whom are having issues with discomfort. That is an operation that can be done crudely or with great artistry. Two years ago, we published an article about Cameron S. Schaeffer; MD’s new office in Louisville. 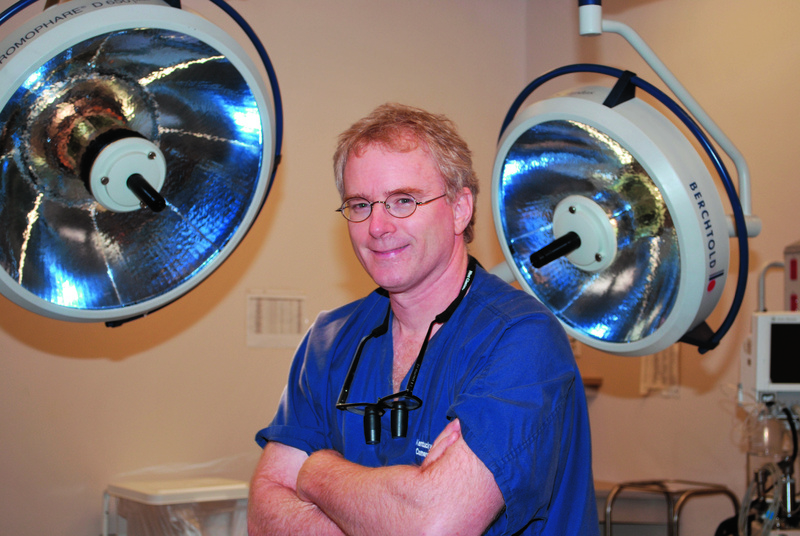 MD-UPDATE Publisher Gil Dunn recently sat down with him to discuss his practice. ← This is a Blog Post!